This five-day course is designed primarily for IT professionals who have some experience with Windows Server. 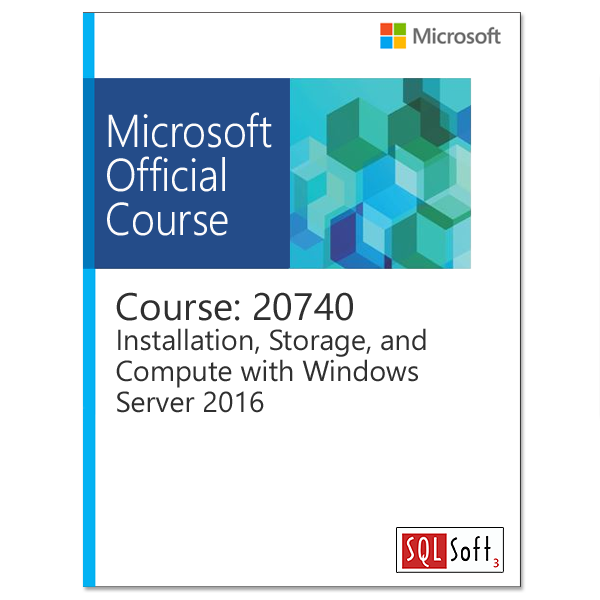 It covers content for professionals who will be responsible for managing storage and compute by using Windows Server 2016, and need to understand the scenarios, requirements, and usage of storage and compute options that are available and applicable to Windows Server 2016. This module explains how to prepare and install Nano Server and Server Core. This module also explains how to upgrade and migrate server roles and workloads. Finally, this module explains how to choose an activation model based on your environment characteristics. 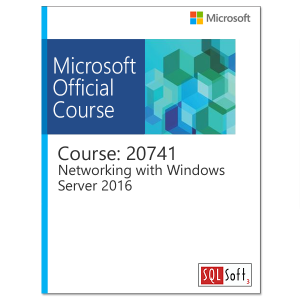 Choose the appropriate version of the Windows Server operating system, and describe the installation options and new features of Windows Server 2016. Prepare and install Nano Server and Server Core. Consider whether an upgrade or migration is the best approach, and use tools to help determine upgrade or migration suitability. Migrate server roles and workloads within a domain and across domains or forests. Choose an activation model based on your environment characteristics. Manage disks in Windows Server 2016. Manage volumes in Windows Server 2016. This module describes the direct-attached storage (DAS), network-attached storage (NAS), and storage area networks (SANs). It also helps you understand Microsoft Internet Storage Name Service (iSNS) Server, data center bridging, and Multipath I/O (MPIO). Additionally, this module also compares Fibre Channel, Internet Small Computer System Interface (iSCSI), and Fibre Channel Over Ethernet (FCoE), and describes how to configure sharing in Windows Server 2016. Describe DAS, NAS, and SANs, and the usage scenarios for each topology. Compare Fibre Channel, FCoE, an iSCSI target and initiator.Describe iSNS, MPIO, data center bridging, and Windows Storage Server 2016 (two versions—Workgroup and Standard). Configure server message block (SMB) and network file system (NFS) shares by using Server Manager and Windows PowerShell. Implement Storage Spaces as an enterprise storage solution. Manage Storage Spaces by using Server Manager and Windows PowerShell. This module provides an overview of Hyper-V. This module also explains how to configure, manage, and install Hyper-V. Prepare to install the Hyper-V role. Move virtual machines from one host to another host, using PowerShell Direct to manage a virtual machine, and manage miscellaneous virtual machine settings. This module provides and overview of containers in Windows Server 2016. It also explains how to deploy, install, configure, and manage containers in Windows Server 2016. This module provides an overview of high availability, business continuity, and disaster recovery. It further explains how to plan high availability and disaster recovery solutions. Additionally, in this module you will know how to back up and restore the Windows Server 2016 operating system and data by using Windows Server Backup. Finally, you will learn about Windows Server 2016 high availability with failover clustering. Describe high availability, business continuity, and disaster recovery. Plan for high availability and disaster recovery solutions with Hyper-V virtual machines. Back up and restore Hyper-V hosts, virtual machines, Active Directory Domain Services (AD DS), and file and web servers by using Windows Server Backup. Describe Windows Server 2016 high availability with failover clustering. This module explains how to plan, create, configure, maintain, and troubleshoot a failover cluster. This module also explains how to implement site high availability with stretch clustering. Describe the requirements and infrastructure considerations for a failover cluster. Create and configure a new failover cluster. Monitor and maintain failover clusters. Troubleshoot failover clusters by using various tools such as Performance Monitor, Event Viewer, and Windows PowerShell. Configure and implement a stretch cluster. This module describes integrating Hyper-V virtual machines in a clustered environment. It also explains how to implement and maintain Hyper-V virtual machines on failover clusters. Additionally, this module also explains how to configure network health protection. Explain the integration of Hyper-V in Windows Server 2016 with failover clustering. Implement and maintain Hyper-V virtual machines on failover clusters. Describe and configure network health protection. Describe NLB and how it works. Describe the considerations for implementing NLB. This module provides an introduction to deployment images. It also explains how to create and manage deployment images by using the Microsoft Deployment Toolkit (MDT). Additionally, it explains how to evaluate an organization’s requirements for server virtualization. Explain the purpose of deployment images and the tools that you use to deploy and maintain them. Implement and manage deployment images by using MDT. Evaluate their organization’s requirements for server virtualization. This module provides an overview on WSUS and explains the deployment options. It explains how to update management process with WSUS and also how to use Performance Monitor. 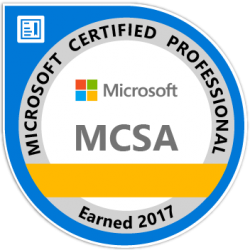 Additionally, this module also provides an overview of PowerShell Desired State Configuration (DSC) and Windows Server 2016 monitoring tools. Finally, this module describes how to use Performance Monitor and monitor Event Logs. Describe the purpose of Windows Server Update Services (WSUS) and the requirements to implement WSUS. Describe the purpose and benefits of PowerShell DSC. Describe how to use Performance Monitor. Describe how to manage event logs.